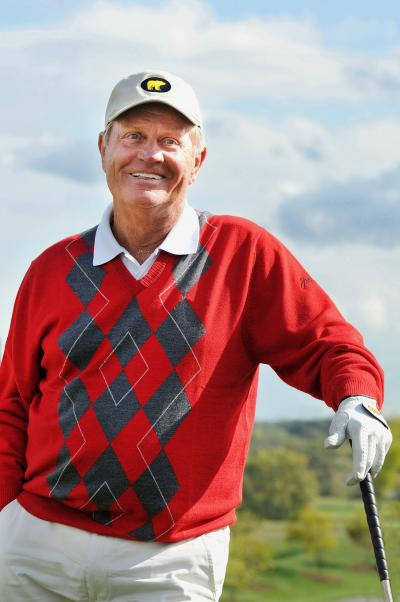 Twelve generous supporters of Rotary's Polio eradication efforts will have the opportunity to play golf with legend (and Polio Survivor) Jack Nicklaus, a Rotary Ambassador for Polio eradication. Space is limited to the first 12 donors. To qualify, donors need to complete a gift intent form and make the full donation by 22 January 2019. Contact Harvey Newcomb III, director of principal gifts at The Rotary Foundation, for more information. Rotary is committed to raise $50 Million (including Rotarian, public, and DDF donations) to be matched by $100 mil from the Gates Foundation - for each of the next two years - for a total of $300 million for the Global Polio Eradication effort. Vaccine Derived Polio Cases - Papua New Guinea, Kenya, SYRIA, SOMALIA, Niger, Nigeria & DRC - Vaccine Derived Polio Cases reported in 2018: Papua New Guinea - Twenty -Five cases (No new cases this week), Nigeria - Thirty-one cases (Four new cases this week), Niger - Eight cases (No new cases reported this week), Somalia - Thirteen cases (No new cases this week), DRC - Twenty-one cases (Two new cases this week). Ninety-six Vaccine derived Polio cases were reported in 2017 - Ninety-eight so far in 2018. Pakistan - No new Polio cases reported this week. Eight Polio cases reported in 2018 - the most recent case was from FATA with an onset of paralysis on 10/07/18. Pakistan's 2018 Polio cases have all come from just four Districts! Eight cases reported in 2017. Nine new Polio-Positive Environmental Samples were reported this week in Pakistan. Afghanistan - One new Polio case reported this week. Twenty Polio cases reported in 2018 - the most recent case was from the Shahid - e - Hasas District, Uruzgan Province with an onset of paralysis on 10/09/18. Fourteen cases reported in 2017. On November 5-9, 2018, Polio vaccination teams across Afghanistan targeted 5.3 million children under the age of five in high-risk provinces. The vaccination campaign came on the heels of several newly reported cases. Confirmation of even one polio case anywhere signals remaining vaccination coverage gaps which must be filled to achieve eradication. Two new Polio-Positive Environmental Samples were reported this week in Afghanistan. Nigeria - No Wild Polio cases have been reported in 2017 or 2018. The most recent Polio case was reported on 8/20/16. Nigeria is to be congratulated on 2-1/4 years without a Wild Polio case!